Super Savings Item! 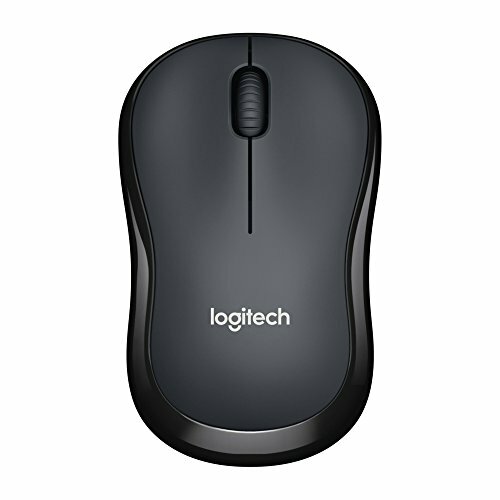 Save 33% on the Logitech M220 Silent Wireless Mobile Mouse by Logitech at Kool Heads. MPN: 910-004877. Hurry! Limited time offer. Offer valid only while supplies last. With the same click feel and 90% noise reduction* compared to classic mice, M220 silent offers a quiet experience for yourself and those around you. With the same click feel and 90% noise reduction* compared to classic mice, M220 silent offers a quiet experience for yourself and those around you. It has a long-lasting 18-month battery life with auto-sleep, a powerful 10-meter wireless range between the mouse and the receiver, and the added security of 128-bit encryption. Plus, its small size is perfect to toss in a bag and go. Just plug the tiny Logitech wireless USB mouse receiver into your computer and go. M220 computer wireless mouse works with Windows, Mac, chrome OS or Linux. And thanks to Logitech advanced Optical tracking, you'll enjoy is smooth moves and precise cursor control on almost any surface.